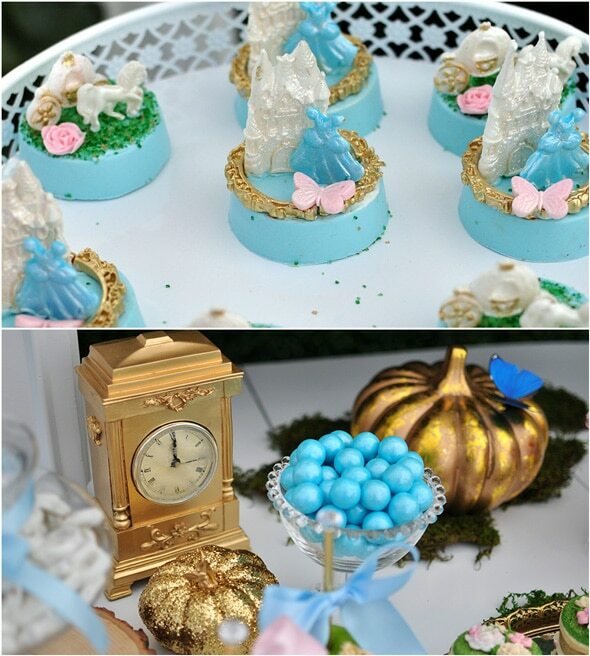 There’s nothing more enchanted and magical than a Cinderella Birthday Party. 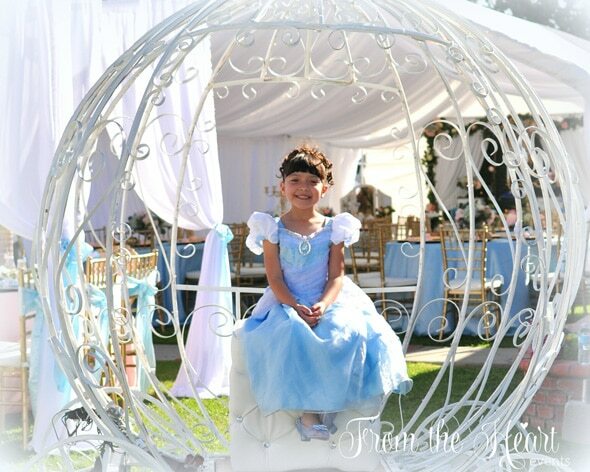 This little birthday girl was dying for a Cinderella Birthday Party with the traditional elements that every little girl loves! It turned out beautiful and was definitely a dream come true. 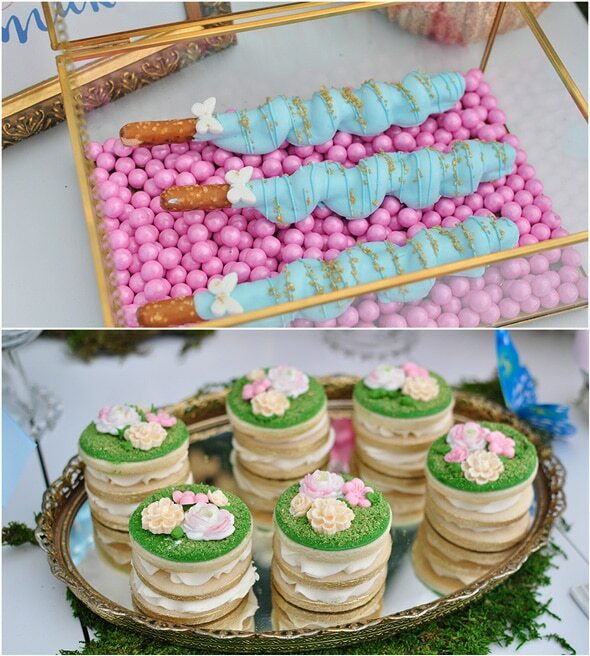 The dessert table was absolutely stunning with desserts that were truly works of art. 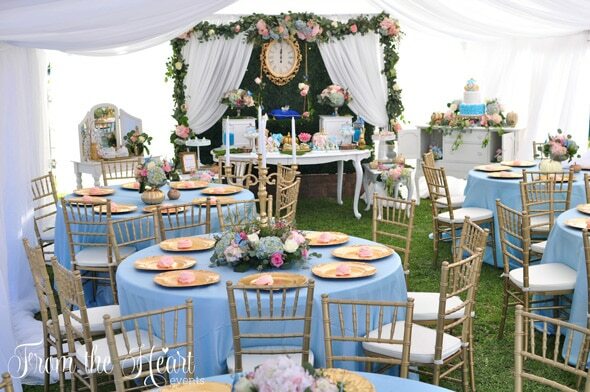 To put a twist on it, From the Heart Events envisioned the story taking place in an enchanted garden filled with slight nods to the live action movie. 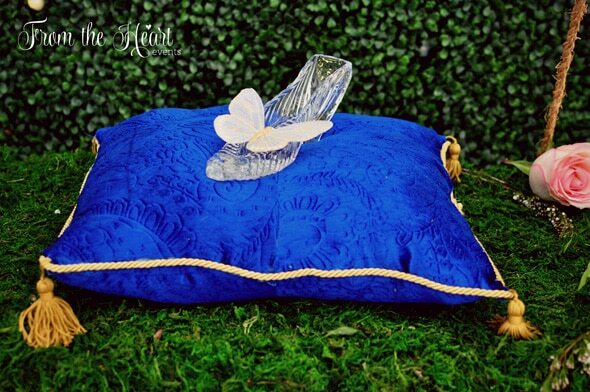 Things like blue butterflies, pumpkins, glass slippers, and a swing were used, just like in the movie! The birthday girl’s mom (and owner of Kitty’s Party Supply) knew that From the Heart Events could bring that to life, so they had at it! 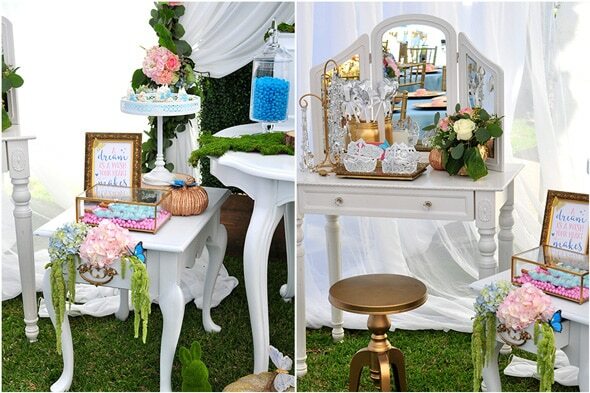 Tons of details were included with many whimsical touches. 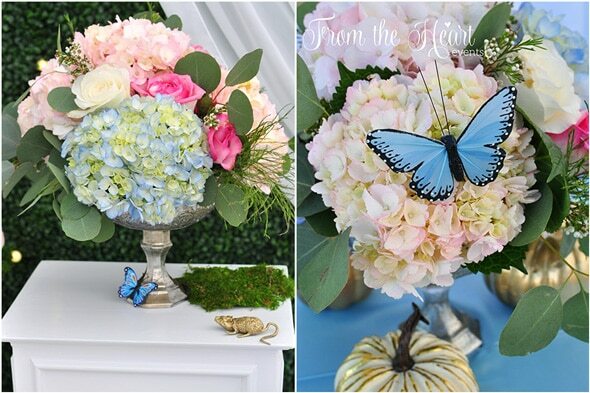 Butterflies were scattered about, along with golden mice and glittered pumpkin decor found all over. 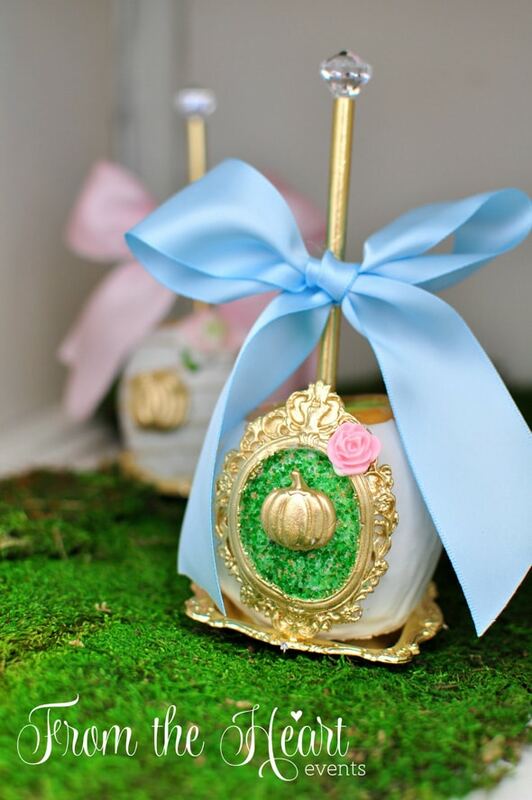 What a magical cake from Sweet Treats & More! 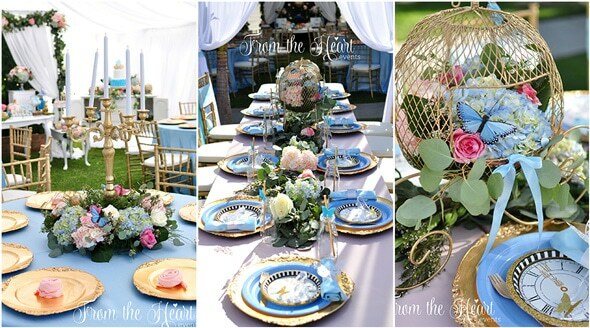 It truly looked like it came straight out of a fairy tale fit for a princess! 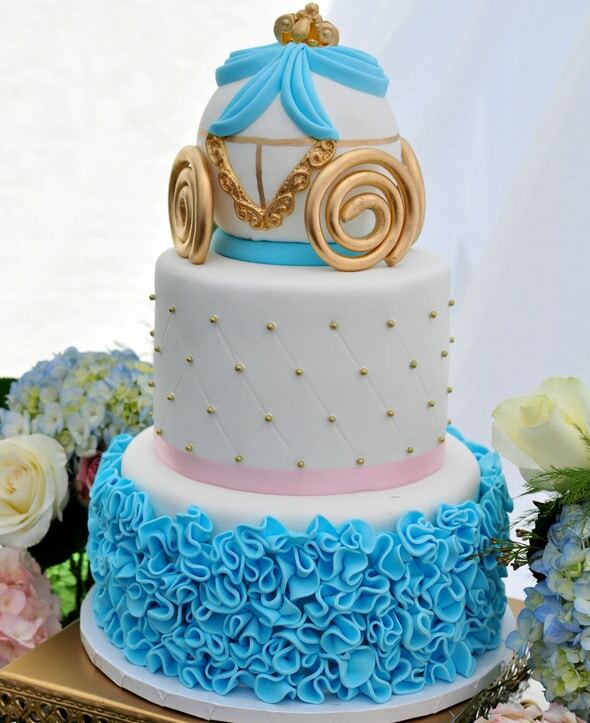 We just love the little ‘carriage’ on the very top! 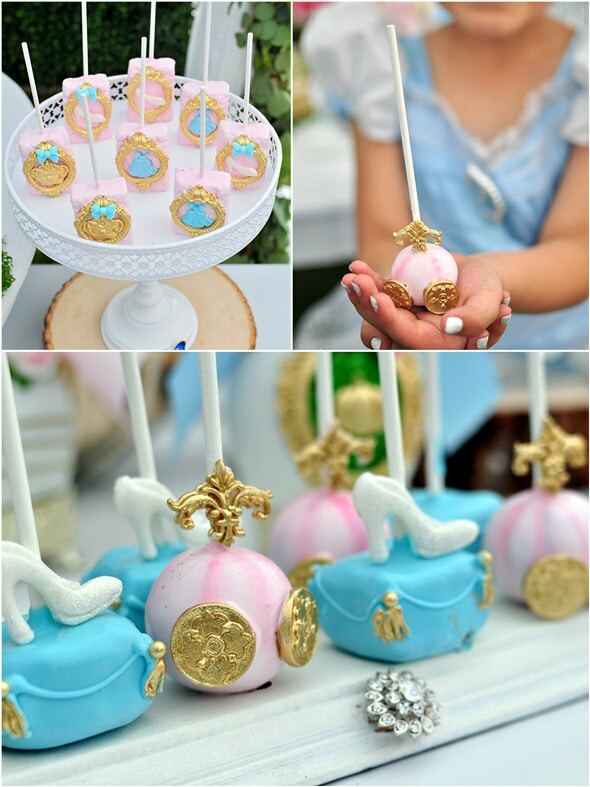 The cake wasn’t the only sweet treat on tap for the fun Cinderella Birthday Party! Other yummy desserts, along with candy apples were provided by Sweets by Gigi. 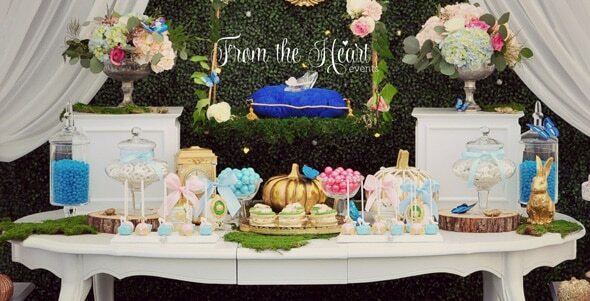 The party was made magical with the floral pieces and fairy balls in the hedge backdrop. Sheet moss was added here and there to give it a forest feel. 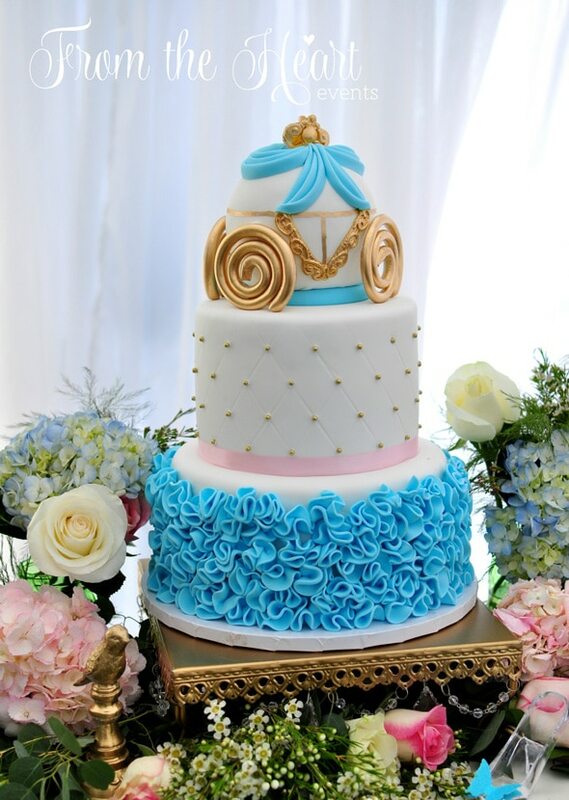 It was absolutely gorgeous and truly fit for a princess! 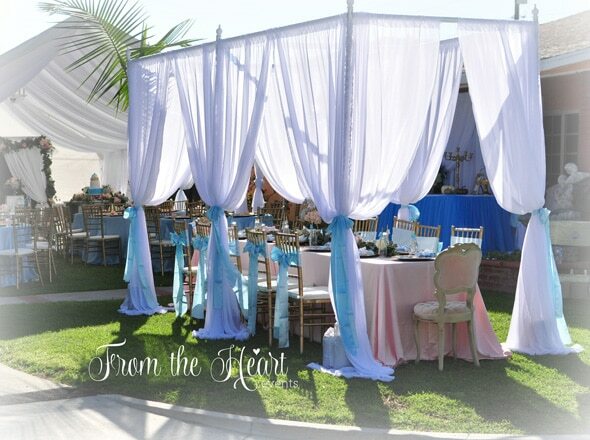 From the Heart Events did an amazing job setting up the tables for all of the guests. Nothing was forgotten and the gold chargers looked stunning on the table. 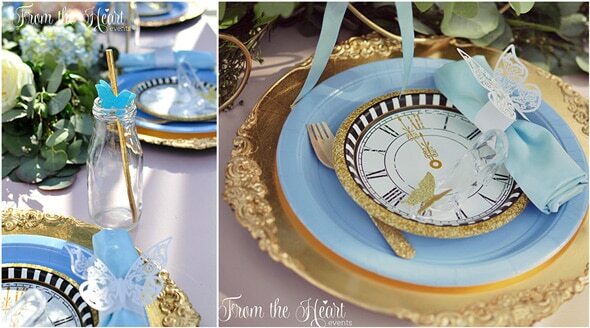 How adorable are the golden sparkle straws in the glasses?! Even the gift table was beautiful! 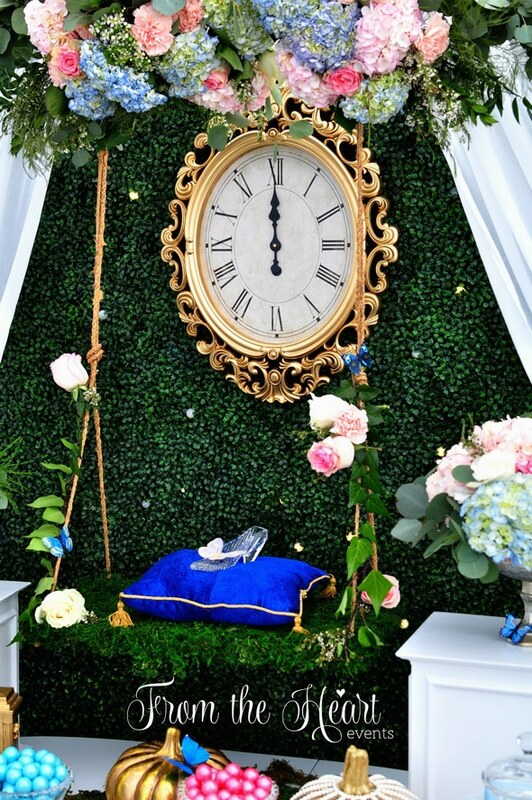 The best part of all is that the birthday girl loved her Cinderella Birthday Party so much that she was still talking about it days after it ended. 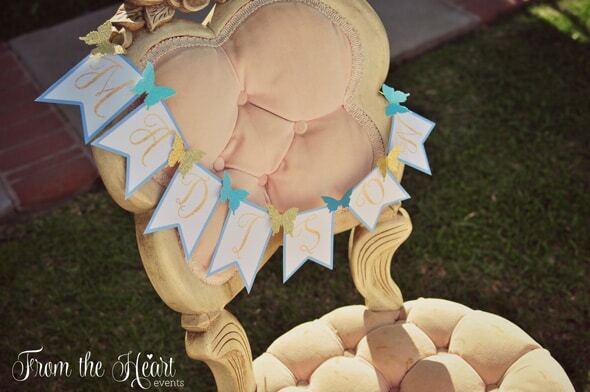 Just look how happy she is in this amazing carriage prop from Gizzelle’s Events! That is music to anyone’s ears! Happy birthday, sweet girl!